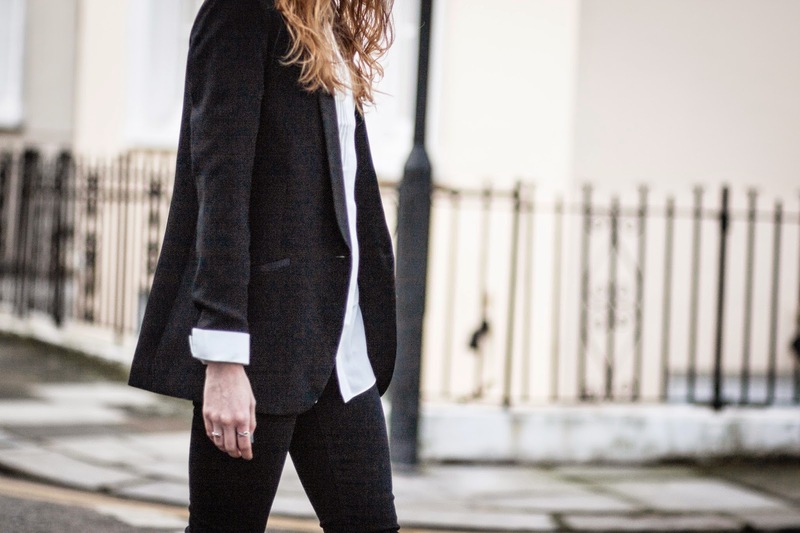 Three items every girl needs in her wardrobe are a black blazer, a white shirt and a trusted pair of black skinny jeans. Worn separately or altogether like so, they form the basis of any good outfit. Add a killer heel, pointed loafer or even a trainer and you can create so many versatile looks. As a fan of monochrome regardless of the trend or season, I do like to throw in a pop of colour and/or texture to keep things interesting. Here, I have paired this ensemble with quite possibly my favourite heels from Topshop. I love the snakeskin/reptile effect which is so on trend right now, not to mention the colour is gorgeous. What I particularly love about these heels though is the lace up detail which makes them a statement shoe in their own right and very designer-esque. 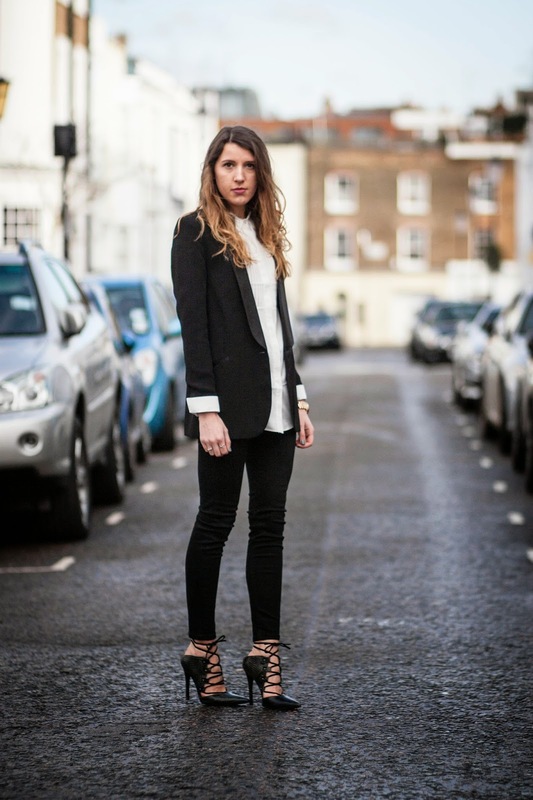 That's enough rambling from me about how much I love the shirt, blazer, skinny jean and heels combo. 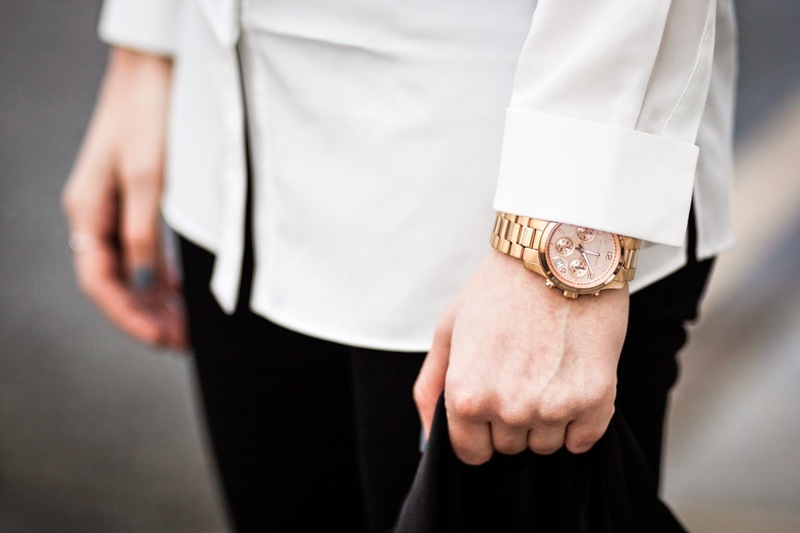 Do these three items indeed form an essential part of your wardrobe? I would love to know! argh your shoes! I loooooooove them! Perfect outfit. Those shoes are amazing. LOVE the shoes! I think my three bases aren't so much items as colours - anything red, white or navy can be thrown together with anything else in my wardrobe and if I really can't think of what to wear red jeans with a navy shoe, a white shirt and navy jumper combo is so easy to throw on and is perfect smart/casual. I am SO obsessed with this look! Those shoes are just soooo gorgeous! this look is so classic and chic! love it. and those shoes are beyond amazing! Those heels are so fierce!! Gorgeous photos Gemma! Those shoes are perfect!! Such stunning photography, love your outfit- simple but stylish! Gosh, you look absolutely amazing in this outfit! Wowza, could you look any more chic here!? Love those shoes! Im truly in love with your shoes! This look is simple and classy , you look gorgeous ! I loveee your heels, they are so pretty! LoOOove this chic tailoring ! !